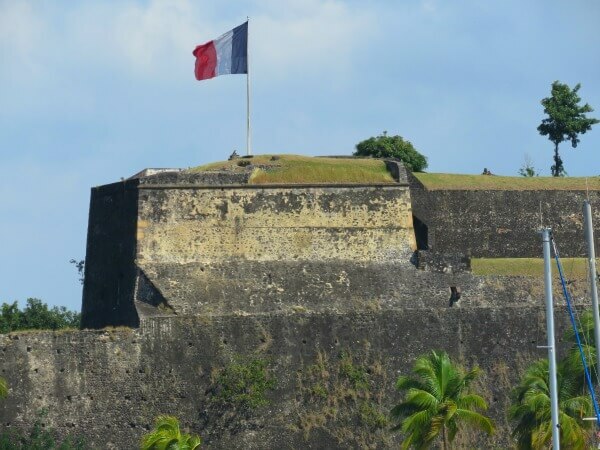 Fort de France is the capital of Martinique. 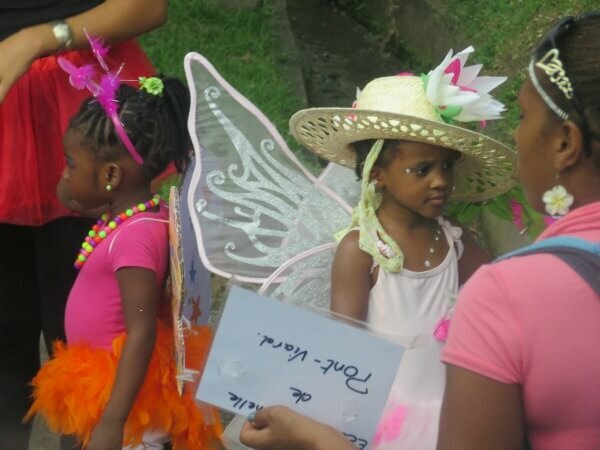 It is a city of 90,000 people making it the largest city in the Lesser Antilles. 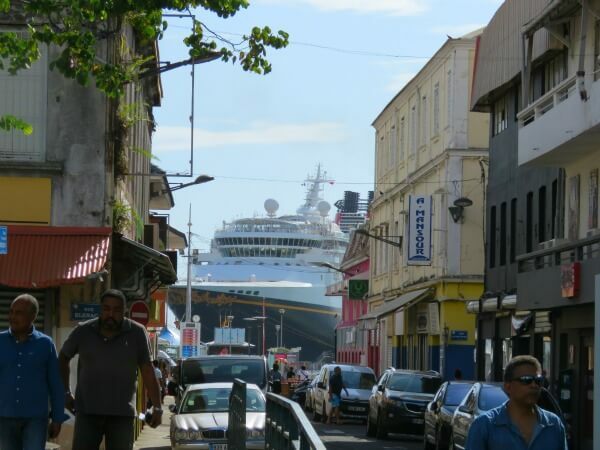 It is becoming a common cruise ship stop in the southern Caribbean. 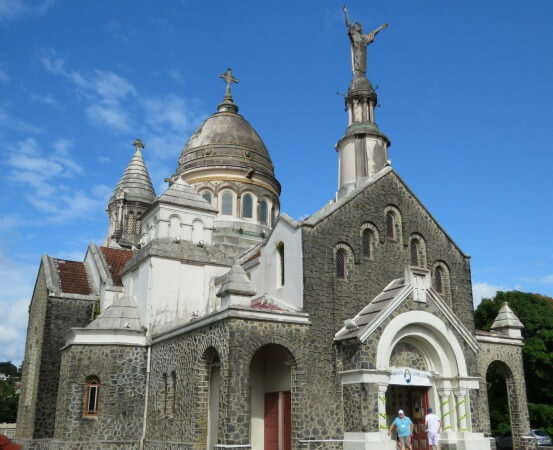 If you are looking for interesting stops from your cruise, I highly recommend that you give Martinique a look. Read on to discover more. From your cruise ship dock, there are three easy areas to explore on foot. The first is the waterfront and promenade. This area includes the Hotel Simon, promenade shops, and a small beach. Second is the La Savane, a nice park which borders the waterfront, Fort St. Louis, and Old Town. Lastly is Old Town. Old Town lies directly in front of the dock and is bordered by the River and La Savane. Here is an overview of what you will see, as well as a couple of other areas of interest. Martinique lies in the Lesser Antilles of the southern Caribbean. It is a piece of France in the tropics of the West Indies. The people of Martinique are actually French citizens, and the island is considered a part of France; unlike Puerto Rico and the United States. The economy is based mainly on agriculture with bananas, other tropical fruit, sugar cane, and rum being exported mainly to France. Tourism is also important with most coming from France, but it is rapidly becoming a popular cruise ship stop. 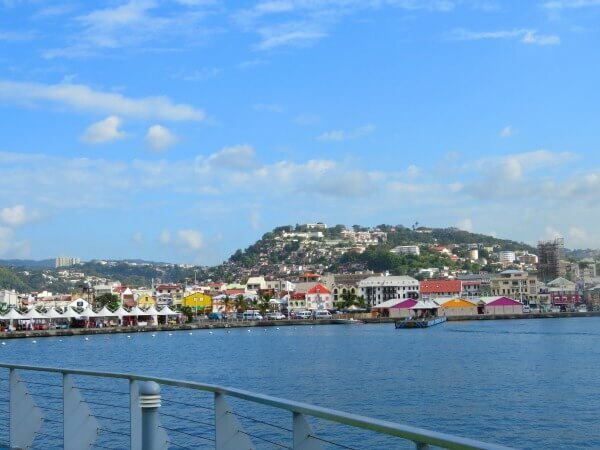 When arriving in the harbor of Fort de France, you are greeted by bright colors from the city and green mountains in the distance. The water is sparkling Caribbean turquoise. 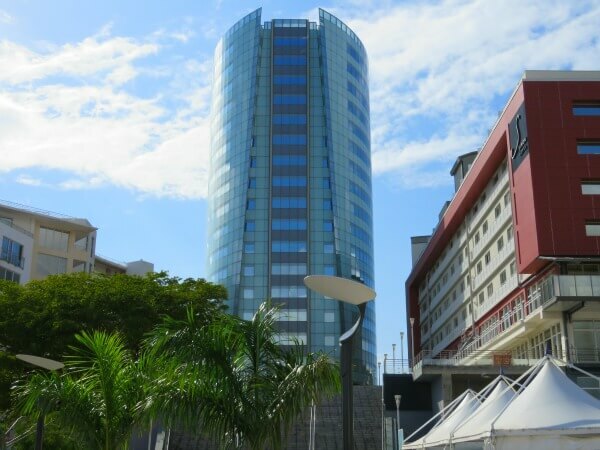 A modern, attractive, twenty story building, Hotel Simone, stands harborside and gives a first impression of a vibrant city. 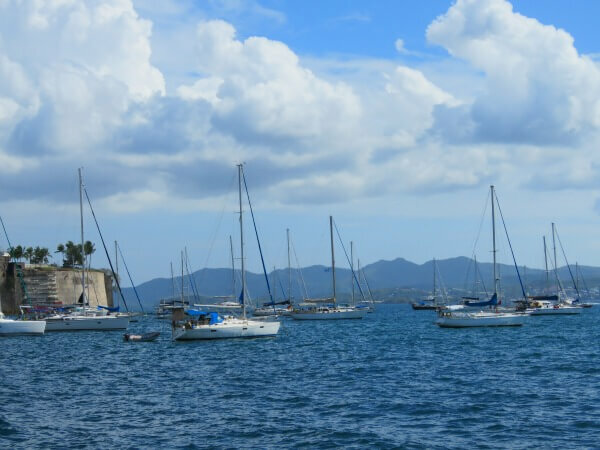 Lining the harbor is a promenade of small tents selling wares to tourists: crafts, tropical dresses, linens, rum, and spices. Coming off of the cruise ship and turning to the right you pass along the promenade and see Fort St. Louis a short distance up ahead. Fort St. Louis is still in use by the French military. 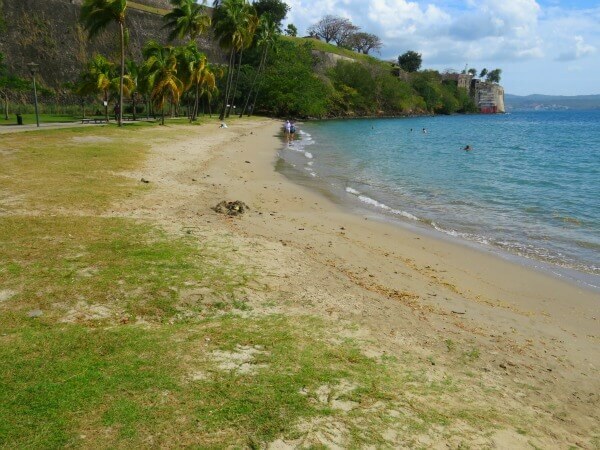 A small, public beach with white sand lies adjacent to the fort. Large iguanas are supposed to roam around the fort, but we unfortunately did not see any. Ruins of an ancient fort sit just in front of Fort St. Louis a few yards in from the beach. This was fun to explore. 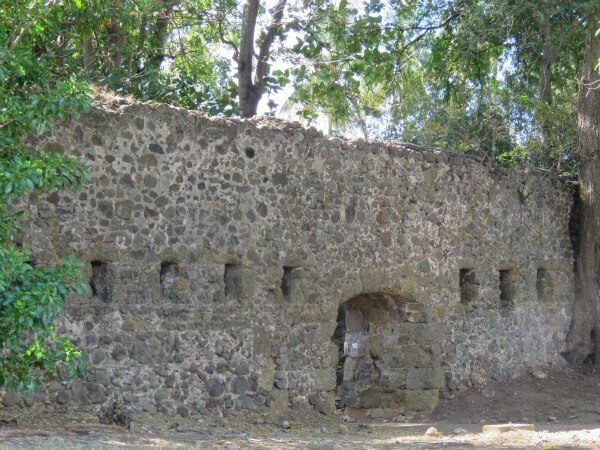 The old ruins lie at the far edge of a park called La Savane. It is a nice green space with majestic palm trees bordered by Fort St. Louis, the harbor, and Old Town. 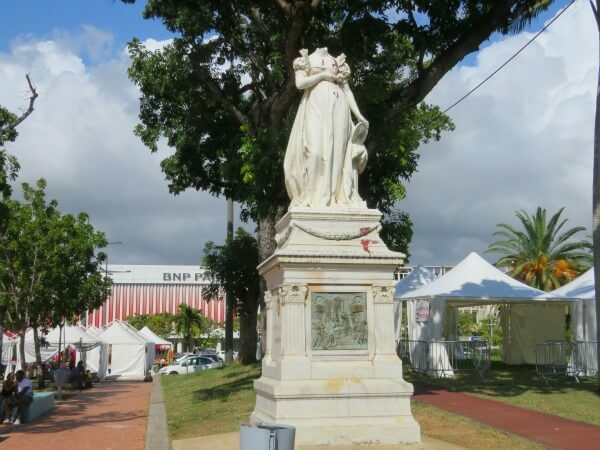 Crossing the park back toward the cruise ship and Old Town on Rue de la Liberte'(Liberty Street), you will come to the headless statue of Josephine Bonaparte. Empress Josephine, the wife of Napoleon, was born and raised in Martinique. The statue was erected to honor the island’s most famous person in 1856, but it was not popular with the locals. 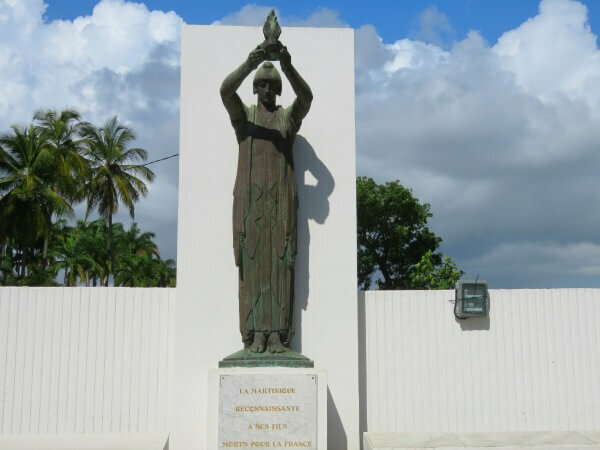 Her family were slave owners and it is thought that Napoleon allowed slavery to persist longer on Martinique than elsewhere due to his wife. About twenty-five years ago, someone decided to protest by lopping off her head on the statue, and it remains that way to this day. The park is home of two other statues of interest: Statue de Belain D’Esnambuc (I have no idea who this was, but it is a cool statue) and Monument aux Morts (a tribute to Martinique soldiers who died in the two world wars). Directly across Rue de la Liberte’ with the harbor and the cruise ship on your left is the bright and vibrant Old Town Fort de France. Crowds of people wander the narrow streets lined with brightly colored shops, restaurants, and cafe’s. Aromas of coffee and pastries fill the air. Reggae music blasts into the streets. Almost everyone you pass is speaking French. It has feel similar to the French Quarter of New Orleans, but with an obvious splash of Caribbean flare. Of particular architectural interest are the Schoelcher Library (built in Paris in 1889 and shipped to Martinique), the old mayor office, and the St. Louis Cathedral. 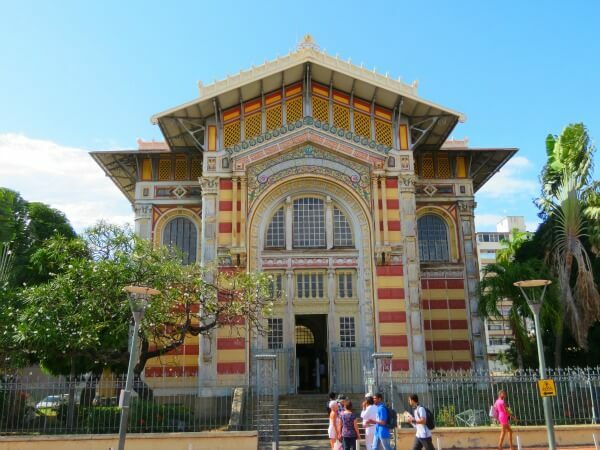 Almost all of the port excursions from our cruise ship included a stop by Sacre’ Coeur de la Balata Cathedral. I would not recommend a special trip just to see it, but it is worth the stop. The Cathedral is a 1/5 scale exact replica of the Sacre’ Coeur Basilica atop Montmartre in Paris. The cathedral is beautiful and offers wonderful views over the city and to the harbor. The ride up to the cathedral is of interest, too. Particularly, the colorful shanty houses clinging to the sides of the hills are very reminiscent of the favela of Rio de Janeiro, Brazil. 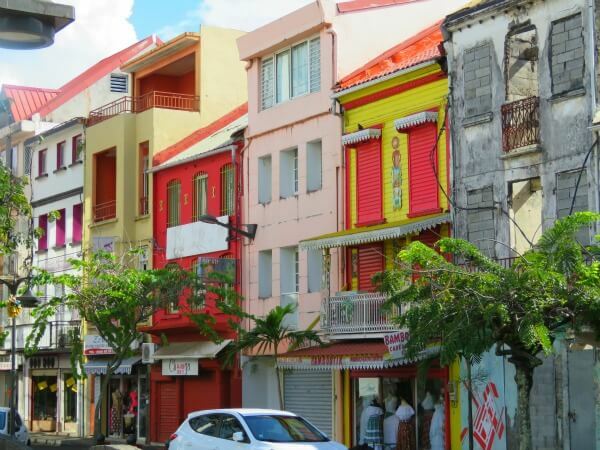 I have wanted to visit Martinique since studying French in high school and college. When we decided to take a Caribbean cruise and saw that the Disney Wonder would dock in Martinique, I knew that it the cruise that I wanted to take. I was not disappointed. 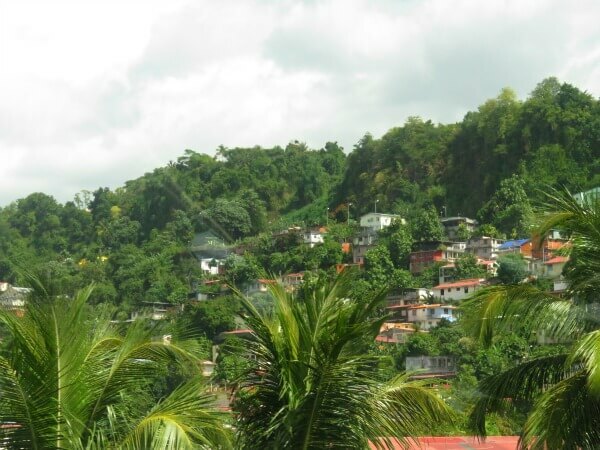 A post on Jardin de Balata, a beautiful, tropical, garden in the rain forest mountains of Martinique is upcoming. Thank you so very much! My husband took the majority of them. This looks wonderful, I’d love to take a stroll in those colourful streets! !